News About the Show | parmalee | "You Can Just Visit . . . We Have To Live Here." 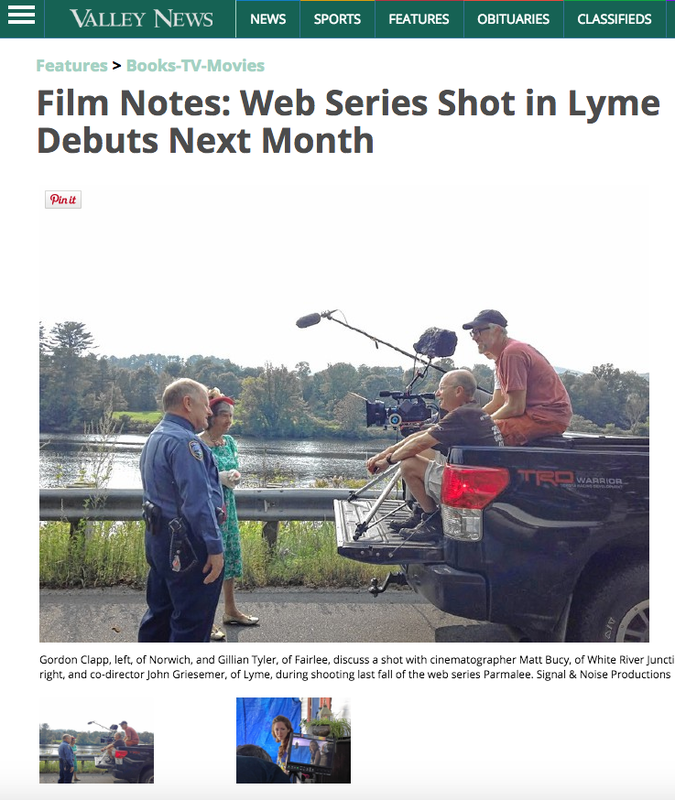 Turns out we’re part of an exciting filmmaking scene. Parmalee will go live on the Internet on November 10th. We’ll have more news, but for now, you know your life is looking up. We packed the house at the White River Indie Film Festival on Saturday night. A big thanks to a big crowd. As the story says, we played Parmalee: The WRIF Cut, a straight-through version of all of Season One. Now, it’s on to some finishing touches and prepping the episodes for our Internet release. That’s all coming soon. If you live in near the Upper Valley region of New Hampshire and Vermont, you can see Parmalee‘s leading actress live on stage mere days before she appears in our web series premiere… on screen in the same theater. The Valley News, the local paper for the White River Indie Film Festival area in Vermont and New Hampshire, ran a feature story about Parmalee at the top of their arts section today.